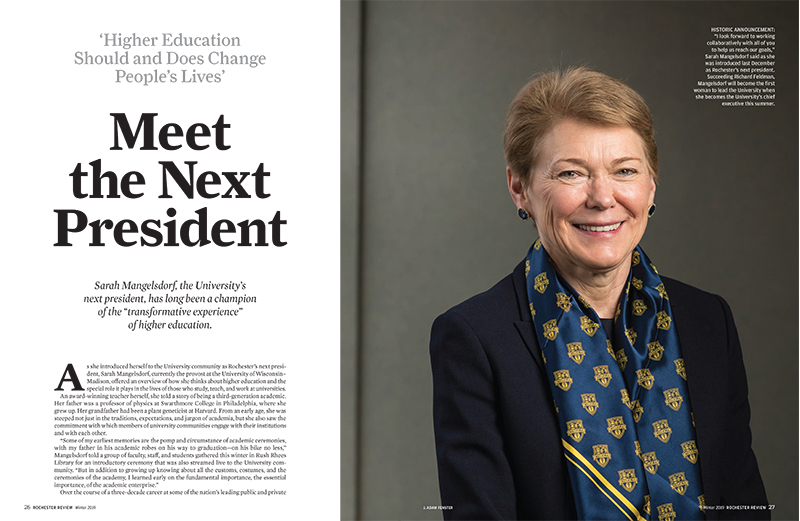 Sarah Mangelsdorf, the University’s next president, has long been a champion of the “transformative experience” of higher education. Read more . . . 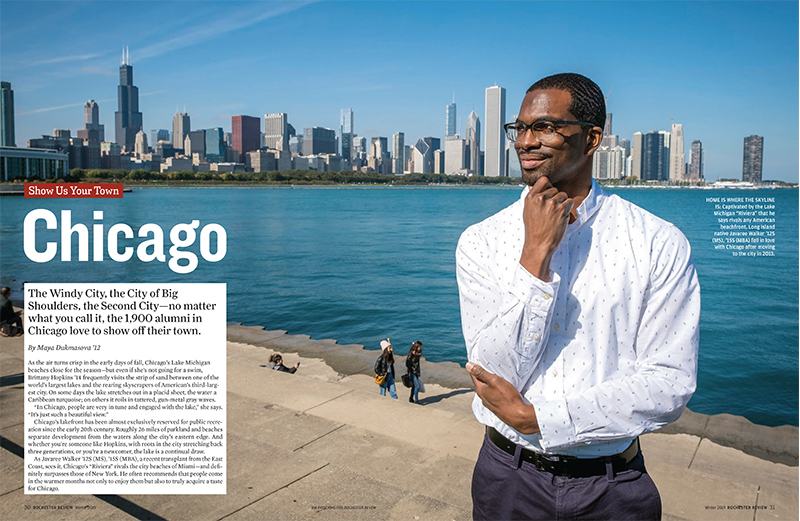 The Windy City, the City of Big Shoulders, the Second City—no matter what you call it, the 1,900 alumni in Chicago love to show o≠ their town. Read more . 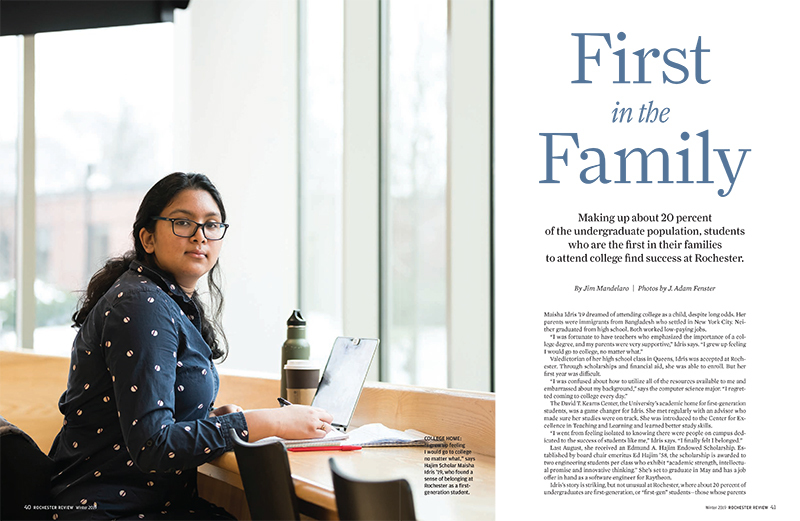 . .
Making up about 20 percent of the undergraduate population, students who are the first in their families to attend college find success at Rochester. Read more . . .
National champion Kylee Bartlett ’19 cherishes the balance she’s found in her final season. 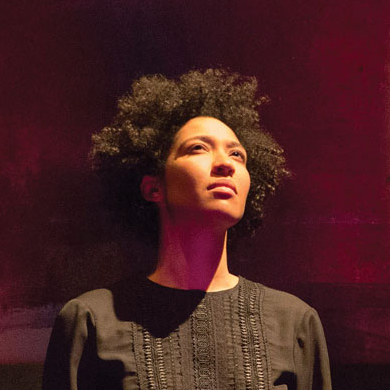 Julia Bullock ’09E is artist-in-residence at the Metropolitan Museum of Art. 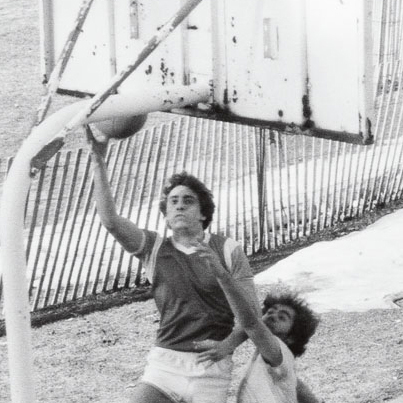 Novelist Thomas Perry ’74 (PhD) on his favorite literary detectives.